One of my blog commenters, Veronica Davidov, who has worked for many years in the Netherlands, remarked that American job seekers would benefit from knowing more about the Dutch job market, which is relatively open to American candidates. I asked her for a guest post, which she has kindly provided. Thank you, Veronica! The Dutch academic market is not very well-known in the US (in my experience). But it should be: English is the working language of a large part of Dutch academia, and the market is very open to American scholars and researchers in a way that French, German, or Belgian academic markets are not. I put this post together drawing on email exchanges I have had with friends who have taken up employment in the Netherlands in the last few years, and contacted me prior to accepting their jobs, to make sense of some of the cultural and institutional differences. Recruitment and employment: all Dutch academic jobs are published on one central websites, www.academictransfer.com. This includes PhD positions (as those are “employee” rather than “student” positions here), postdocs, and full and part time faculty jobs. Dutch universities also recruit through jobs.ac.uk and sometimes through CHE job boards, especially for jobs that are in English-language faculties and programs. The hiring process is somewhere halfway between the American multi-level videogame-like campus visit experience and the UK minimalist one. It is standard for the whole thing to last several hours. For the first job I had in the Netherlands, I flew for an interview from the US. The visit started at 10 am with an hour-long interview with two faculty members of the program into which I would be appointed and the dean of faculty, followed by lunch with the same two faculty members, and then a 30 minute research talk, open to faculty and students. By 2 pm I was done. The second job I got in a different Dutch university had a campus visit that consisted of a one-hour sample class, one-hour research talk, and one-hour interview with the search committee (including the dean), back-to-back. Negotiations are similar to the UK system, or any US state or city system with clear salary scales and a comprehensive union contract. All Dutch universities have an identical union contract, as they are all in a sense public/government jobs (there are private universities in the Netherlands but they are unlikely to be the ones hiring foreign staff, with the exception of American-based Webster University, which operates a campus in Leiden, and is indeed outside the Dutch system). The HR calculates which scale and step your experience corresponds to, and there is not much room for negotiation in most cases. Universities subsidize “kennismigrant” (skilled worker) permits for foreign employees; foreigners are also eligible for something called “the 30% rule” under which 30% of one’s income is untaxed. This is an incentive from the Dutch government to recruit foreign talent, and (presumably) to offset some of the financial disadvantages one has living in the Netherlands as a foreigner who is ineligible for certain benefits, for example social housing or housing allowance. The university is also supposed to buy you a bicycle every 3 years (or otherwise subsidize commute costs), although for some reason this rule seems to be erratically followed, depending on the university and the HR office. The types of positions (University Docent I, University Docent II, UHD (Associate Professor, Professor) are described in the Collective Labor Agreement, so I will just refer you to that document (http://www.staff.leiden.edu/h-r/cao/cao-and-regulations.html) and instead here spend a bit of time on things that are crucial but less codified. As is the case everywhere, the Dutch university system is increasingly neoliberalized. There are more and more fixed-term appointments. While some are renewable, there are no infinitely renewable situations here—Dutch law stipulates that after three contract renewals one receives a permanent contract, so the universities will let people go before that condition is met if thy are not on the tenure-track. Tenure process can vary from university to university. At some universities the process is increasingly similar to the American system, with the tenure process taking 5 years, and the applicant undergoing a review based on their achievements in research, teaching, and service. At others, there is still the “soft tenure” system, where permanent contracts are awarded after three years as long as the annual performance reports have been satisfactory. In either case, the important thing about tenure at a Dutch university is that it is decoupled from promotion. It is possible and common to be tenured as an assistant professor, and stay in that position until retirement, which is mandatory at the age of 65. At some faculties it is literally impossible to advance to associate or full professorship for reasons of faculty politics and budget constraints. At most faculties promotion to Associate or Full is contingent not on an ongoing track record of publications but on winning major grants, either from the NWO (the Dutch equivalent of the NSF and the NEH rolled into one), or through the ERC (the European Research Council). The European Commission administers a grant program called a “Marie Curie Incoming Fellowship” specifically for non-European researchers coming to European universities. Winning such a grant can in some cases mean an instant promotion, but the grants are increasingly hard to get and the granting agencies increasingly favor projects with “applied” or “policy relevance” potential. The grants are especially hard to get if one does not get in “on the ground floor” of the grant system. The NWO has a series of individual grants for each stage of a research career—the Veni, a grant for 250,000 EUR, that buys one three years of teaching-free research time, is available for early-career researchers, the Vidi for mid-career researchers, and the Vici, the largest one, for established scholars. While in principle anyone can apply as long as they fit the official criteria, it is common knowledge that it is much easier to get a Vidi if you had a Veni, and it is virtually impossible to have a Vici without having one or two of the “earlier” grants. So, the system is good for job stability (if you are on the tenure-track), but erratic for advancement, unless you are one of the people who lucked into a succession of grants. This is not to say that publications don’t matter—they do, they just don’t have the dramatic impact of such mega-grants. Also, with publications, generally articles are more important than books—even in fields that might be “book fields” in the US. Many Dutch faculties have a list of journals in which their faculty should be publishing, with a point system assigned to journals in different tiers, and scholarship criteria primarily focus on peer-reviewed journal publications. The symbolic economy of book publishers differs quite a bit from the US as well. Outside the big names (Harvard, Yale, Stanford), American university presses are not as well-known, and not necessarily as desirable as, for instance, placing a volume with one of the Dutch academic presses (Amsterdam University Press, Brill) or with Routledge, Palgrave, or Praeger. There is a strong sense in Dutch academia that it is “Americanizing” in some ways. Dutch universities are very open to hiring American scholars (especially ones from elite universities), and in the recent years Dutch universities have been increasingly interested in developing spaces for liberal arts education at the undergraduate level, similar to, and sometimes modeled after, the American SLACs. These institutions are called “university colleges” and at this point many major universities have one (UvA and VU share one, Leiden and Maastricht have one each, and Utrecht University has two—Utrecht University College and The Roosevelt Academy; Erasmus University is set to open its own UC this fall). While regular Dutch universities have open admissions, and students choose a specific fixed courses of pre-professional study early on, University Colleges have selective admissions and draw students who are interested in a broad liberal arts, interdisciplinary approach to BA-level education. As with SLACs, appointments at UCs are likely to be teaching-heavy or teaching-only, and classes are likely to be capped at 15 or 20. The working culture in the Netherlands is very stereotypically European in that weekends are sacred, and so are vacations (mostly—on occasion there will be Open Days that different faculties plan for student recruitment on Saturdays). At work there is generally more teamwork than one might be used to at American universities. Co-teaching classes in one way or another is common; designing a syllabus literally by committee may also be common, depending on the faculty and the department. There is a lot of service and there are many meetings. Sometimes I have three meetings in a day for the various service committees I am on. Such a normatively collaborative atmosphere may be very appealing for some—I have come to appreciate it a lot–and frustrating for others, especially if you are not used to the amount of bureaucratic work you might be expected to do as faculty, or to making sure your syllabus complies with a template not of your choosing. A recent rule in Dutch academia is that every faculty member at every university has to achieve a BKO certificate. BKO stands for Basiskwalificatie onderwijs, in translation—Basic Qualification in Education. Every university and faculty has its own procedure for how that assessment is made, but in principle everyone must submit a teaching portfolio to a BKO committee, which will assess it on the basis of certain rubrics. Because this is a mandated requirement, most job ads for academic jobs in the Netherlands today mention the BKO or the willingness to earn one as a prerequisite. One last thing to consider that I think is indicative of the cultural differences between the Netherlands and the US—the expectations around what goes into a letter of reference. If you ask a Dutch colleague to write you a letter, they are likely to write a very balanced assessment of your character, doing a strengths and weaknesses analysis and explaining why you would be effective in a particular position. The adjectives that make up a “glowing” letter of reference are likely to be absent from such a letter. The letter is also likely to be much shorter than what American letters look like. Conversely, although many Dutch academics are familiar with the American style of reference letters, some find the standard heaps of praise excessive and difficult to “use” in terms of figuring out whether the person would be a good colleague. This is a helpful thing to remember if one considers applying for a job in the Netherlands; it is even more important to remember if one decides to apply for jobs back in the US after working in the lowlands. Well-meaning Dutch colleagues may end up damning you with faint praise with American search committees not attuned to this particular intercultural difference. I want to end with the caveat that although I have lived and worked in the Netherlands for 5 years, at two different universities, and I think I have some insight into how Dutch academia works, the aspects I wrote about are representative in some ways, but of course the Dutch academia is not monolithic, and different universities and departments function in different ways. So this is not meant to offer definitive generalizations about the Dutch university system, but rather to provide an overview of an academic market that many American job-seekers are not familiar with, and give the readers a sense of the possibilities and limitations in this academic context. 1. The newer liberal arts University Colleges are doing some very innovative work in the context of Dutch higher education – really radical stuff. One cannot overstate the innovation of undergraduate education that is literally exploding across the country. 2. From my experience, professors at University Colleges do more research than typical SLAC universities in the USA because of Dutch university culture. 3. In the humanities, at least at the larger Dutch universities, there are huge walls between disciplines and not a lot of cooperation between disciplines. That is what makes working at a University College so interesting to me. Have I mentioned that I like the University College system? Working as a foreigner at a Dutch university in a STEM field in a TT position, I would like to point out some STEM specific – and not so STEM specific – differences between Dutch and American or other universities that were not mentioned in this post. The elaborate start-up you can negotiate in the USA you typically can’t in the Netherlands, you may negotiate a little (for example up to the extent of maybe money for one PhD student). However, the research divisions are often teams. The full professor is actually the boss of all associate and assistant professors in the group (UD, UHDs). Depending on who the full professor is, and the university culture, this may be more or less apparent. This has its advantages though. You will enter a lab that is shared for the whole section and already has a lot of equipment for you to use. Typically they were looking for someone with a profile they need, but don’t have yet, in their team. You will thus be instantly capable of contribution to ongoing projects. You may be asked to supervise PhD students on grants that were acquired by faculty of your group of higher rank. This is an advantage, it will lead to publications, even in your early years on the TT clock. You can even ask your chair whether there are projects you can supervize, if he/she doesn’t offer him/herself, which I would recommend. However, take care, you do need to build up your own profile, to get tenure, and certainly to get promoted. So provide things that are part of your unique research vision into these projects. So get your own grants so it is clear who is the driving force. But as an alternative for start-up money, I think this is a good. Whether it is better or not, I cannot say, each has its pros and cons. Also having collaborations within the Netherlands and within your institute, apart from the international collaborations, is considered very important. I agree about the University Colleges being a lot more interesting to work in than the regular university bachelor programs. Generally, the teaching load is immense (up to 9 different courses in one academic year, all of them different), plus it is characteristic of Dutch culture to be undergoing continual reform, which means new courses almost every year. It’s a good experience for 1-3 years, but I would not recommend it for a person wishing to also concentrate on scholarly productions. Summer breaks are for about 1 month. Some schools, like the UVA, are extending the semesters into the summer and winter months. This is a very informative description of the Dutch university system. One thing is missing, however: a deeper analysis of the extreme hierarchy concerning the relationship between UDs (asst.prof), UHDs (assoc.prof) and full profs. This hierarchy, and its absurd effects, becomes more clear the longer one works in the NL system. 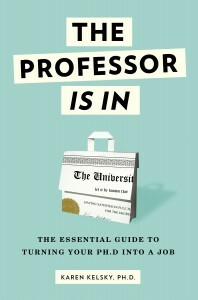 The most absurd example: only a full prof can supervise a PhD dissertation. An UD or UHD might do the “daily supervision” (i.e. all of the work), but only the supervisor (the full prof) gets full credit. Another absurd example: depending on the university, a full prof will be chair of a department until retirement (i.e. no rotating chair) and can decide things like how a particular course is taught and what junior members of the department (asst.profs and assoc. profs) focus their research on. The chair’s intervention in the former is more common than in the latter. What this means is that even asst.profs and assoc.profs—-depending on the department—potentially have very little autonomy. Needless to say, there is little to no voting at departmental meetings. There are certainly lots of meetings, but in the end, the chair decides. This hierarchy is very hard to swallow when the asst.profs and assoc.profs have more and better publications than the full professors—and this is not an uncommon situation. Pingback: So How Does Tenure Work in Europe? Thank you for the post. I’m currently an assistant professor who’s interested in an academic job in Europe so this was helpful. Can anyone say how soon can one expect to hear whether they were selected for an interview at a Dutch University for a lecturer position? Do they reply to unsuccessful applications? I applied for a post in Utrecht and was informed that out of the whole candidate pool only one was selected for interviewing. I thought that was pretty strange, is that common in The Netherlands? My name is Hossam Abdelsamed. I am postdoctoral research associate in the US. My research area is mainly focused on role of epigenetics in memory T cell development. I still have 2 more years in my postdoc. I would like someone to give me advice about the assistant prof. positions in The Netherlands what do they require, expertise, paper work…..etc when should I start to contact universities Thank you. Would you have any advice about the Dutch “letter of motivation”? Thank you!